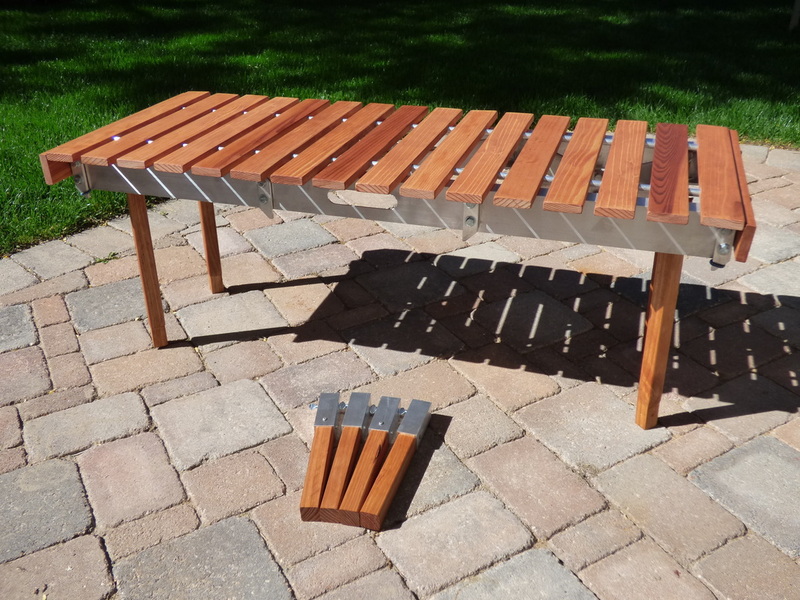 Convert the bridging ladders into a camp table or bench. The table top slides into place and is held snug with shock cord, and the legs attach using a thumb screw. Available soon. 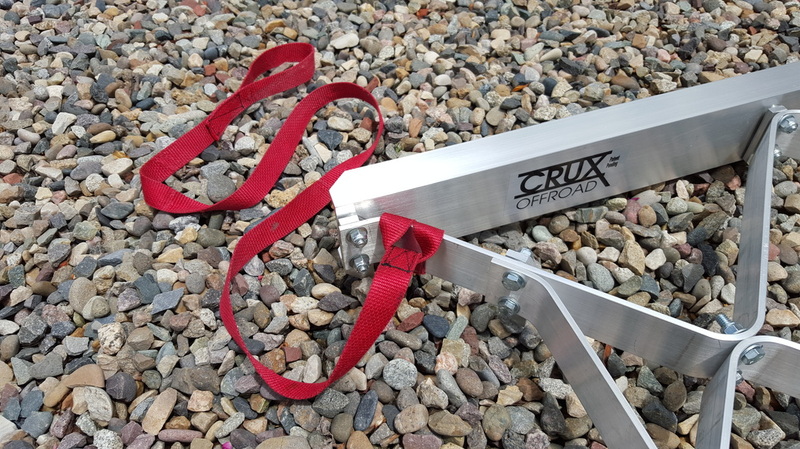 Keep track of your bridging ladders if they become buried in the sand, snow or mud during use and pull them back out with ease. This convenient storage bag securely holds a pair of bridging ladders and offers extra cargo pockets for additional gear. 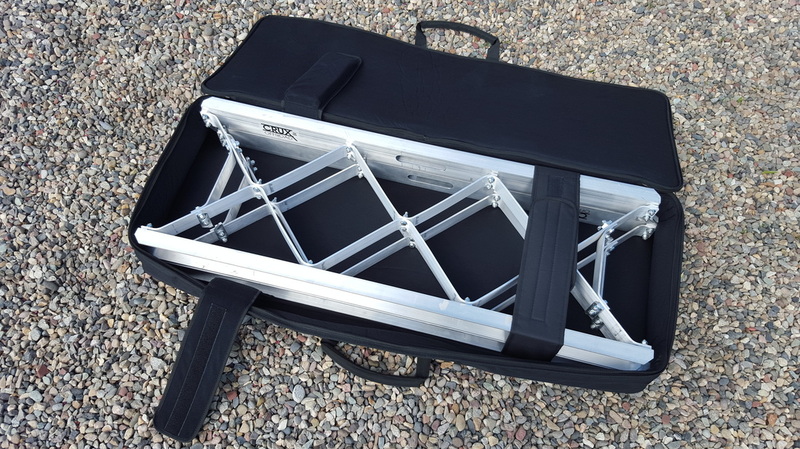 The hook and loop straps hold the ladders securely and the thick padding provides cushioning between the bridging ladders and your other luggage. If you ordered your bridging ladders without grip cleats and would like to add them, this set of 24 cleats will improve the stability of the bridging ladders in many conditions. Copyright 2015 Crux Offroad, LLC.